The Toyota Prius is often falsely considered the anti-enthusiast’s car. 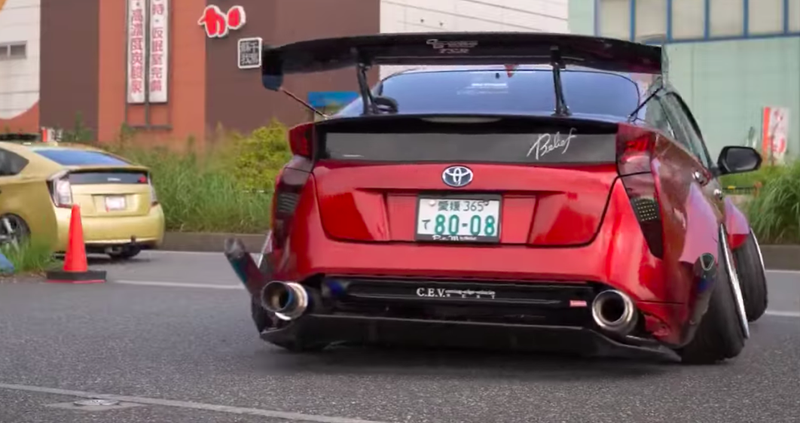 While I could name a number of reasons why the hybrid Toyota deserves more credit, I’d rather just show you this video of some seriously slammed Priuses. Because they look hot. Oh yeah. Wide-body Priuses hellaflushed, hella-cambered, and pretty much hella-everything’d. They’re way over the top, especially that red one with the huge wing. But it works! The jelly-bean shape that so many loath actually looks sleek when dropped within millimeters of the pavement. And what’s that noise?! It sounds rumbly and good! A dang Prius—a car that rarely sounds at all—actually makes noises that are...decent? (Sans that white one with the huge exhaust pipe, which sounds pretty sad). I think what we’ve learned here is that Priuses are much better at any ride height other than stock.